Aerial and Drone Photographer for Bundaberg and Hervey Bay region including Maryborough, Kingaroy, Chinchilla, Roma and Emerald. John Wilson Media are aerial photography specialists and the most experienced aerial and aerial drone photographers in the Wide Bay with more than 25 years experience in aerial photography in Australia and Internationally. We can capture great aerial images and video for your project making use of a range of equipment, vehicles, and technology. We supply aerial photography in the following locations in the Wide Bay region. We are the only aerial photographers in the region with a light plane available for general aerial photography for your commercial requirements. We also use drones for some types of aerial photography. Helicopters can also be arranged for specific work. John Wilson Media can advise you on the type of aerial photography you will need for your project whether it be a commercial property, residential property or commercial development. 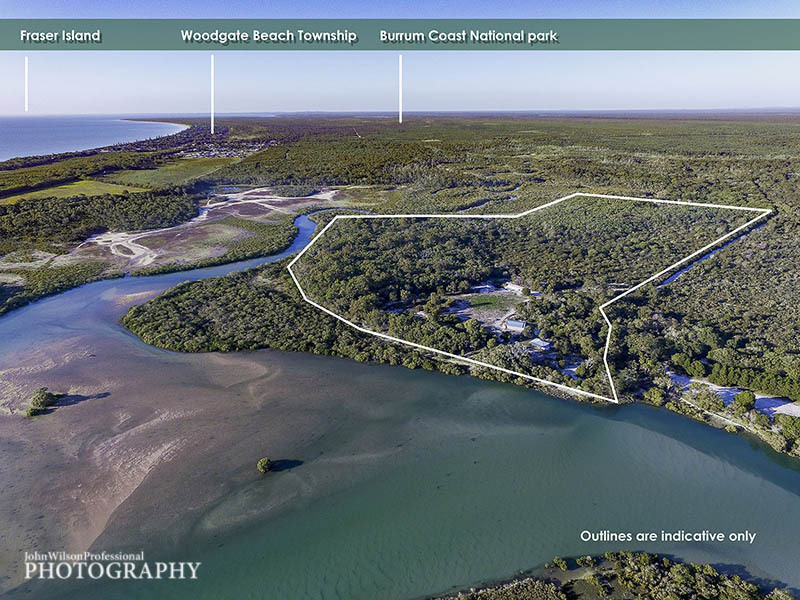 Drone photography Hervey Bay, Maryborough, and Bundaberg offers a cost effective way to capture spectacular images of your real estate assets. Commercial property owners and private owners alike can greatly boost the marketing ability of their properties with skillfully captured aerial photography. Some aerial photography projects will require photography from aircraft but get in touch with John to find out the best method to capture aerial photography of your property. Your aerial photography can be overlaid with outlines to show boundaries or points of interest and present an infographic of your site or property. Video footage can have minimal editing or edited to have opening and closing titles, background music and bullet points and branding through the video. Images and vision can be supplied in a variety of formats and sizes to suit your needs. Bundaberg aerial photography and Hervey Bay aerial photography can be done at relatively short notice and at all times we will strive to complete the aerial photography and aerial video in the shortest possible time frame. John Wilson Media offers aerial photography throughout eastern and central Queensland. Drone photography available in Gladstone, Biloela, Gayndah, Chinchilla, Miles, Roma, Kingaroy and Dalby to name a few regional Queensland towns.